Facebook is a social medium because of its networking capabilities. To tap into the networking power of Facebook, you have to add friends. Facebook has changed the definition of the word friend. A friend is not just someone you know well. In the world of Facebook, a friend can be a co-worker, an associate, a friend of a friend, family, etc. To get you started, Facebook will suggest friends based on the information in your profile. For example, if you indicate you attended a particular college, Facebook will suggest other people on Facebook who went to that same college that you might know. Your plans for using Facebook should determine how you go about adding friends. The wonderful thing about Facebook is that if you want to add everyone and anyone, you can designate how much each person sees about you by creating friend lists and setting privacy restrictions. For example, you might have a list of people that work at your job. Anyone on that list might not need access to all your personal photos. Search for your friend’s profile (timeline) using the search bar at the top of any Facebook page. Find the person you know and select the Add as Friend button to the right of their name. A friend request will be sent to that person. Once they confirm that they actually are friends with you, they will show up on your list of Facebook friends. Please note that privacy settings may limit your ability to see the Add as Friend link for some users. The best way to find your old friends is to fill out your profile with as much detail as you can. Every post-secondary school in the world is on Facebook as are many high schools and primary schools. When filling out your bio, make sure you don’t ignore listing your schools accurately and also including graduation year. When viewing your own profile if you click the blue text naming your school, you find everyone who listed that on their profile. But if you click on your year, you search automatically for just those who were in that class year. Also, if you want to be found by your old friends and you’ve changed your name since and they may not know it, there’s an option to be searchable by your previous name but only have your current name show up on your profile. Note: This option is not under Edit Profile but rather Account Settings. You can enter up to three names, choose how they’re displayed, add an alternate name if you choose, and choose whether it is displayed or not, or if it’s just there to be searched for. If some friend of yours is boring you, or seems to post all the time, from the newsfeed you can unsubscribe from certain kinds of posts or all of their posts in general, which is a good option for someone you want to still keep up with as you can click on their profile and still stay abreast of their life. If you no longer want to be friends with someone at all, you can unfriend them as described above. However, depending on your privacy settings this user may still be able to friend request you or/and continue to send you messages. In such circumstances, Facebook gives you the option to block that user. From their profile, click on the gear-shaped button and you’ll see an option to block the user and they can’t contact you from that account any longer. If they have been harassing you and want Facebook to be told about that user’s harassment you may even report the user and specify how they’ve harassed you or if they’ve broken the Terms of Service in some way and their account may be disabled or suspended. Do you not only want to “unsubscribe” from someone’s status updates but remove them from your friend list entirely? It’s easy. From anyone’s profile page you’ll see at the top a button that says Friends with a checkmark in front of it. Selecting this button gives you a host of options. Not only can you manage which friend lists this user is on, but also what viewing settings they and you have for each others’ feed. From one easy place, you can control whether or not you see them at all or just not or only certain types of posts (i.e. no photos, but all status updates) and you can block what they can see (maybe those coworkers don’t need to see those vacation open bar pictures). Finally, the very last option under the Friends button is unfriend. Select it once and you’re done. Facebook does not have a function for notifying that you’ve been unfriended, same as there is no message to the requester that their friendship offer has been denied. If this is something that is really important to you, you actually have to install a third-party extension or plug-in directly into your browser and give it access to your Facebook. Don’t worry. These are safe, and often trusted companies that make a variety of browser apps for Facebook and many other sites, and can be installed and viewable right in your browser toolbar. Since there are so many different options for different people depending on which browser is being used, here is a great resource from Mashable and just follow the directions. From the main page click on Friends and the option on the top is to create a list. Facebook’s engine may have already started sorting or at least suggesting lists for you (such as a workplace, school, or social groups), but it’s easy to create a new list and then start adding names. If you have 100 friends, and 20 of them are family members and they’re mostly friends with each other, and not so many know your coworkers or schoolmates, it’ll be easy for Facebook to suggest other family members once it sees the commonality in friendship ties among the users you’ve begun to add to a “Family” list. So if you’re mom’s sister has four kids, and you’ve added the first two cousins don’t be surprised if Facebook suddenly suggests the other two. Tagging friends is easy. 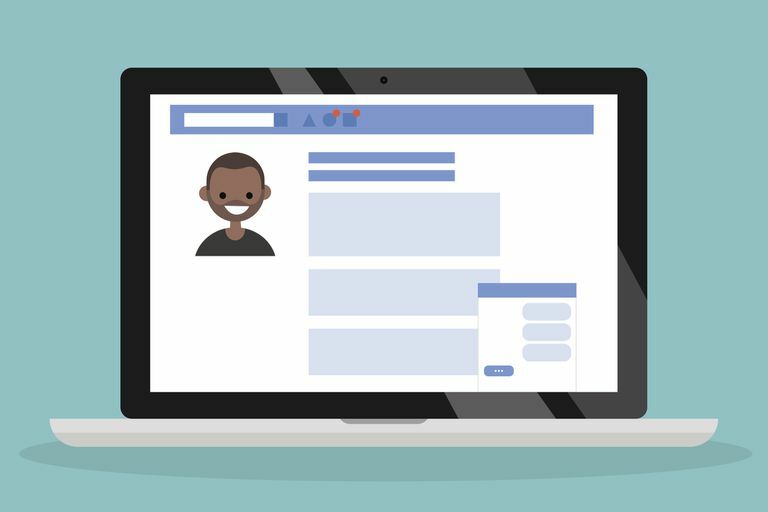 If you want to list them in a post, such as saying you had a great time with them or you’re about to meet them for a concert or something, just start typing their name with a capital letter – go slowly – and Facebook will begin suggesting friends with that name and you can choose via drop down. Then it will be a link. You can edit it to just a first name (be careful, if you delete too far the whole link will be lost, but you can try again) or leave it as their full name. In photos, whether it’s one you uploaded yourself or one of your friends’ there’s always an option Tag Photo on the bottom and you can select anyone from your friend’s list to be “tagged” in the photo. It might not show up on their pages (as viewable to you) right away, though, many users have selected the option to review any posts they’ve been tagged in by other people before approving the post or picture to appear on their profile. Friendship Pages are one of the cooler things that Facebook allows users to do. From any of your friends’ pages select the gear-shaped button and choose See Friendship, and once there you have a list your mutual friends, photos you’re both tagged in, wall posts and comments written on each others’ walls, and how long you’ve been friends on Facebook. You can even see the online relationship between any two others of your friends. Finally get some clues as to how that guy from your college Econ class knew your best friend from summer camp, even though you’ve lost track of both of them in your day-to-day life. Note, however, that both the users have to be your friends and you can’t see the relationship history of one friend and another user who’s not your friend, no matter how much of their profile their privacy settings allow you to see. What Is People You May Know? This is a tool Facebook uses to look for overlooked friends based on mutual friendships. It’s not perfect, and sometimes it’s a bit confusing, but it’s often helpful. If you begin adding a bunch of classmates, this tool may pop up suggesting others you may have forgotten about or those who didn’t list their school but are nonetheless friends with the classmates you’ve added and the high instance of mutual friends triggers the suggestion. Quite often, however, it seems to suggest a random person with only one or two mutual friends, while ignoring those with whom you have 20 or 30 mutual friends which is a bit perplexing, but hey, it’s a free service right?